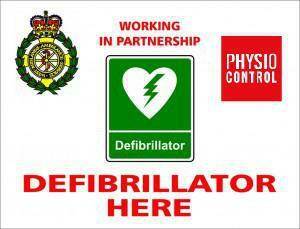 For some time now we have had an automated Defibrillator in school for use in the event of an emergency. In a recent move we have linked with West Midlands Ambulance Service to have our defibrillator registered on their system. This move means that if someone local to the school rang 999 because someone had suffered a cardiac episode and resuscitation was need including use of a defibrillator, then WMAS would direct people to the school equipment whilst waiting for the ambulance to arrive. This is a potentially lifesaving move and although we hope that we never have cause to use our machine, it is great that it is available to us in school and to the local community when the school is open. At Maidensbridge we take First Aid and CPR very seriously, with a large percentage of our staff first aid trained along with a programme for pupil training for Year 4 and Year 6. We would like to thank one of our parents, Mrs. Andrews, who works for the NHS in this field, who suggested that we could link with WMAS.